Thank you for considering one of our Corner to Corner (C2C) crochet graphs and instructions. 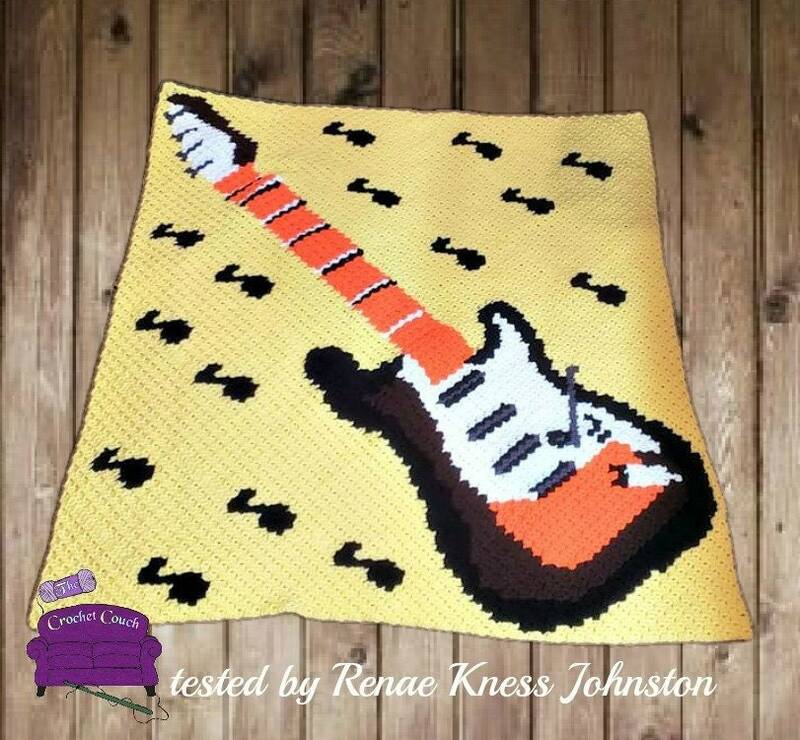 This Guitar afghan is a great gift idea for the guitarist on your list! So whether you prefer to work from a graph or hate the counting and like it written out, this pattern has both. **Would you like this pattern printed out and mailed to you? Please click here to add the printing and shipping to this pattern https://www.crochetcouch.com/listing/579715931/pattern-printed-mailed If you would like to purchase multiple patterns to be printed and shipped, please contact me for combined shipping costs.